A hormonal modulator is a substance which regulates the hormonal status of the body. The function of the whole body relies on precise networking between the CNS (central nervous system) and hormones. Hormones are responsible for regulating and integrating all body functions. The endocrine system participates in the regulation of digestion, use and storage of nutrients, growth and development, electrolyte and water balance, and reproductive functions. Disturbances in an individual’s integrative functions directly reflect that individual’s relationship with the outside world. Working with hormonal agents truly means working on a holistic level because you are working with mechanisms which affect the very make-up and running of the whole body. Hormonal remedies fundamentally have a restorative effect on total body function and structures. Hormones are the chemical messengers which the body makes in the endocrine glands, such as the thyroid or the pancreas. Hormones coordinate what happens in the body and help all the tissues and organs to work together in harmony. The endocrine system and the hormones are very complex. Some problems, such as diabetes or an underactive thyroid, are hormonal problems which need to be resolved in conjunction with a physician. Natural hormones can be effective when tackling the simpler problems such as insomnia, jet lag or the symptoms of menopause. Diet and supplements can prove to be very effective for such ailments. The female reproductive system is complex and changes throughout life. Many disorders of this system are functional, that is, they arise from a dysfunction of the system where there is no physical damage or pathological change to observe. Treatments which correct these functional disorders can do so by either suspending normal activity with hormonally active agents, such as the contraceptive pill or hormone replacement therapy, or support the normal hormonal function of the body and try to restore balance in this way. Even when treating actual pathologies, a treatment strategy which supports and restores the underlying functional rhythms is usually very helpful. Clinical experience suggests that there is a strong self-correcting tendency to the menstrual cycle. By working with the underlying functional cycles, normality can often be restored in a relatively short period of time. Normal menstrual cycle arises through interactions among the CNS, hypothalamus, anterior pituitary, ovaries and associated target tissues. Each part of the system is essential to normal function, however the ovaries are primarily responsible for controlling the cyclic changes and the length of the menstrual cycle. Paeonia (Paeonia lactiflora) – promotes oestrogen production and regulates ovulation. Kahikatea (Dacrycarpus dacrydioides) – oestrogenic modulating activity. Damiana (Turnera diffusa) and Sarsaparilla (Smilax ornata) contain alkaloids which may have a testosteronal effect. These have been used as aphrodisiacs and for treatment of sexual inadequacies, primarily in men but also in women. Sarsparilla also contains steroidal saponins which are believed to have some effect on the hormonal system. Lemon balm (Melissa officinalis) - TSH (Thyroid-stimulating hormone) antagonist and may be useful in mild hyperthyroidism. 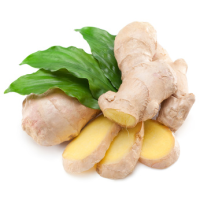 Ginsengs - act on the hypothalamus and have a sparing action on the adrenal cortex. Reduces glucocorticoid production during periods of prolonged stress. Raises plasma ACTH and cortisone levels in the relaxed state. Korean ginseng (Panax ginseng) - stimulates insulin release.